DALLAS -- A nurse who has been charged with murder intentionally caused stroke-like injuries to seven patients at a Texas heart hospital, leading to the death of two and serious injuries to the others, according to an arrest warrant. William George Davis, 34, is seen on security video entering patients' rooms at the hospital on the campus of Christus Trinity Mother Frances Health System in Tyler, the warrant alleges. He leaves a short time later and then the patients suffered "unexpected medical emergencies." Davis, a registered nurse, was working a night shift when each patient suffered an emergency, according to the warrant, and authorities say in at least some cases he introduced air into their circulatory systems, leading to an air embolism. Davis was fired in February and arrested Tuesday on a murder charge. He was being held Thursday at the Smith County jail on a $2 million bond. Tyler police spokeswoman Jenny Wells said it's not clear when he will appear in court. Online jail records don't indicate whether he has an attorney. The office of Taralynn Mackay, a lawyer who had represented Davis earlier this year at a Texas Board of Nursing hearing, said she's no longer representing him. He's being held in the August death of 47-year-old Christopher Greenaway who, according to his obituary, was a pilot and decorated veteran. He had surgery Aug. 3 and a day later experienced an "unexpected neurological incident," according to the warrant. He died a few days later. Police have not identified the second patient who died and it's not immediately clear if Davis could be charged with a second count of murder. The seven cases connected to Davis date back to June and all took place at the hospital where he worked, Toler said. The patients ranged in age from 47 to 63 and were recovering from cardiovascular surgery when they "suddenly experienced a profound incident," the warrant explains. Two of the patients -- a 58-year-old man and a 63-year-old woman -- were left in vegetative conditions. The man's medical condition faltered on Jan. 25 and as of late March, when investigators went to San Antonio to observe him, he was bedridden, unable to speak and relied on others to feed him, the warrant said. The woman has limited mobility, impaired vision and continues to receive medical care. Christus Trinity Mother Frances Health System, which includes Owen Heart Hospital about 100 miles southeast of Dallas, said in a statement that Davis began working for the system in 2013. Toler said that prior to coming to Christus, Davis had worked at another hospital for two years. Toler didn't identify that hospital. The Texas Board of Nursing suspended Davis' license last month and is expected to revoke it. There have been several cases nationally dating back to the 1980s of nurses or nurse's aides who have been charged with killing patients. In San Antonio, an already imprisoned former nurse who prosecutors believe could be responsible in the deaths of 60 children in Texas is awaiting trial on more charges. Genene Jones pleaded not guilty in December to murder charges in the deaths of five children in the early 1980s. 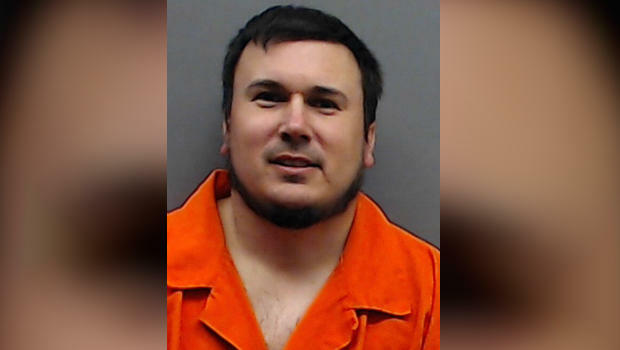 Separately, an East Texas nurse is serving life in prison for killing five dialysis patients by injecting them with bleach. Kimberly Saenz was convicted in 2012 of capital murder in the deaths of patients at a Lufkin clinic where the licensed vocational nurse worked.